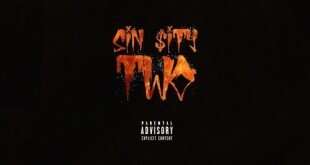 Not even a year since the release of his Sin $ity EP, Toronto’s Jai Jones [PRAYFORJONES] is back with the follow up EP entitled Sin $ity 2. Listen to the 6-track offering below. The much anticipated new video from Toronto artist Rashid St. James is finally here. Watch “Hallelujah” below. Rapper/producer Devontee returns with his first release off of his upcoming District Vibe project. Listen to “Bare Tingz” below. On the verge of re-releasing his 2014 offering SALEM as a deluxe repackage, Toronto’s Flex The Antihero enlists Emerson Brooks and MMac for his latest release titled “Stick Up Kids.” Listen below. Toronto’s Rashid St. James is back and unleashes his official first single off of his upcoming debut. Listen to “Hallelujah” below. Back with some new heat, DillanPonders takes on the latest Lil Wayne/Drake collaboration, ‘Used To (Remix)’. With SALEM Deluxe on the verge of dropping, Toronto’s Flex The Antihero links up with DillanPonders & Emerson Brooks for his latest visual offering titled Medicated. Watch below. After ending an impressive 2014 calendar year, Toronto’s own DillanPonders looks to keep the momentum rolling in 2015 with his latest release. Check out ‘Brick’ below. Looking to have a busy 2015, Toronto artist/producer Johnny Darko offers up a new EP ‘Love Triangles’, as well as a new video to complement the release titled ‘In Time’. Watch ‘In Time’. Toronto’s own G Milla starts his 2015 campaign with a new joint titled, ‘Galileo’. Listen below.